Explore different sustainable student organizations and find your perfect match. The Waugh Arboretum tree finder provides detailed information about the trees found on the UMass Amherst campus. Innovative sustainability ideas from students, faculty, and staff are encouraged and supported at UMass Amherst. UMass Amherst student's can follow this model room guide to live green on campus. 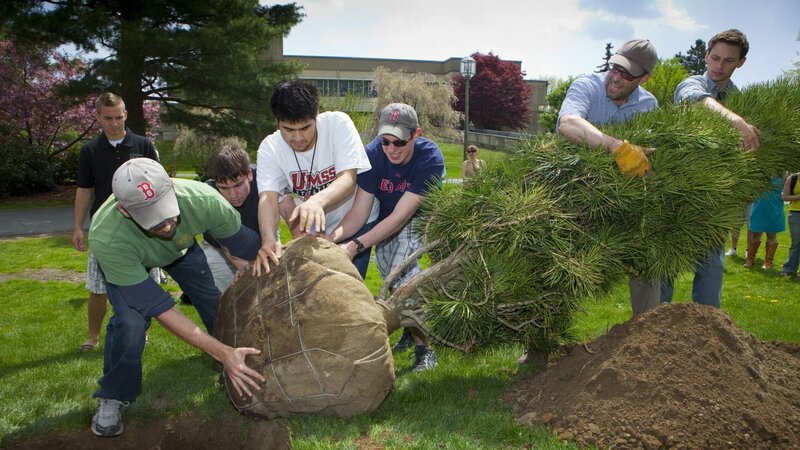 Each year students lead the way with a variety of green initiatives on campus. Residential Life provides a variety of resources that encourages sustainable living in the residential halls. The UMass Amherst Sustainability Explorer is an interactive map that provides details on campus sustainability initiatives. Discover ways to save water with these great tips.